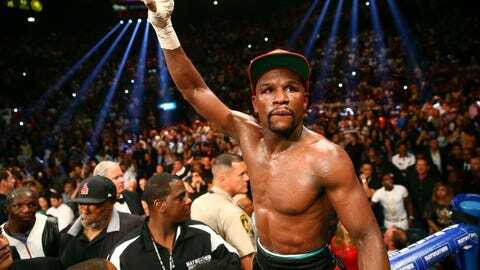 Skip Bayless: Will Dana White cave in to Floyd Mayweather’s demands? Dana White may have lost his September date for a potential Conor McGregor-Floyd Mayweather megafight, but he revealed Wednesday night that the fight is one step closer to becoming a reality. 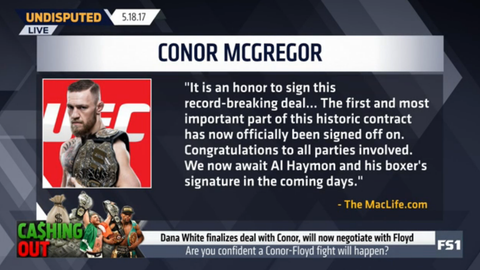 White told the NBA on TNT crew that Conor McGregor has agreed to a deal for the fight, and he's now moving on to try and lock in Mayweather. 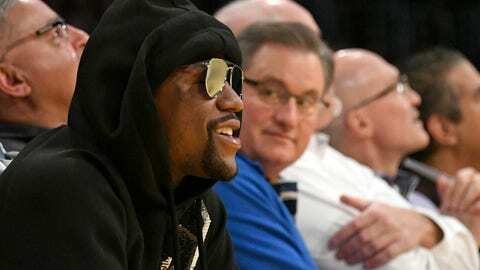 Skip Bayless reacted to the news on Thursday's episode on Undisputed, and argued that while McGregor deserves the lion's share of the payday, it may still be in White's interest to give Mayweather whatever he asks for. “The McGregor side is done. I’m starting to work on the Mayweather side now. “I still have my doubts that Floyd May-or-may-not-weather wants to risk 49-0 against the baddest man in UFC, if not the world, who is 12 years younger than Floyd and has ambidextrous boxing skill that he has displayed many times in UFC fights and punching power that Floyd never ever dreamed of having. “Usually you have one fighter’s manager and the other fighter’s manager, maybe one big promoter, and they’re trying to come together and make a deal. In this case, as we all know, Conor McGregor’s rights are owned by UFC. 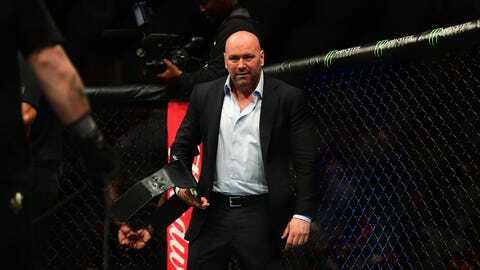 So, first of all, Dana had to sit down with Conor and his manager and make a quote unquote deal in which Dana had an extreme advantage in the negotiations, wouldn’t you say? 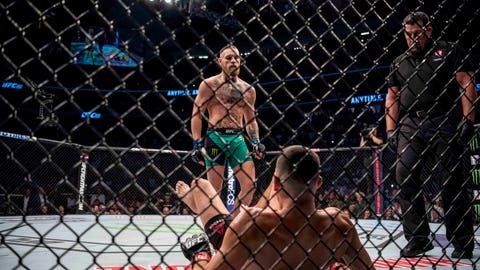 “To me, Conor is still the A-side of this matchup. Conor is a bigger draw now than Floyd is right now, because Floyd has been retired. 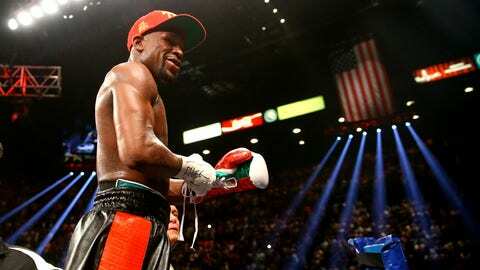 Floyd hasn’t had a meaningful fight for two and a half years. Pacquiao fought with a torn rotator cuff, and then Berto - who’s just an eye-sore of an embarrassment. It was just terrible. … It’s still a ton of money by UFC standards.